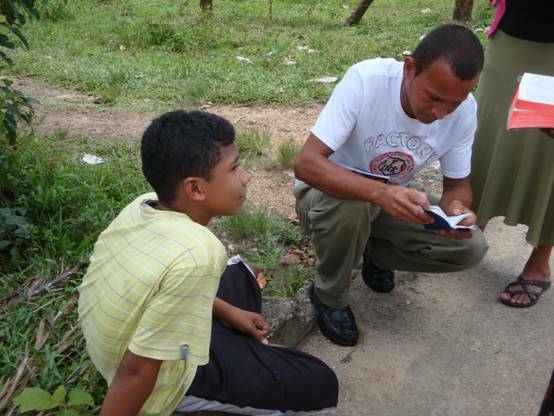 New believers making public their decision to follow Christ in Uhuri, Nicaragua. "We are ambassadors for Christ, as though God were entreating through us; we beg you on behalf of Christ, be reconciled to God" (2 Corinthians 5:20). 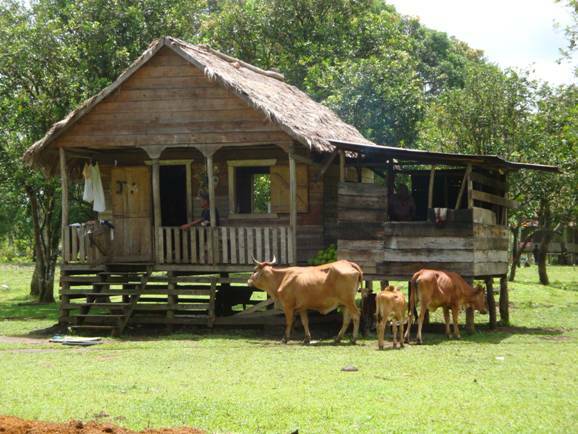 Miskito Indians of Nicaragua live along the north-east coast Atlantic seaboard. Between 150,000-200,000 live in Honduras and Nicaragua. The Rio Coca separates the two countries and the Miskito populate the area in both countries. Wycliffe Bible Translators (SIL) translated the Bible in the 1970's. 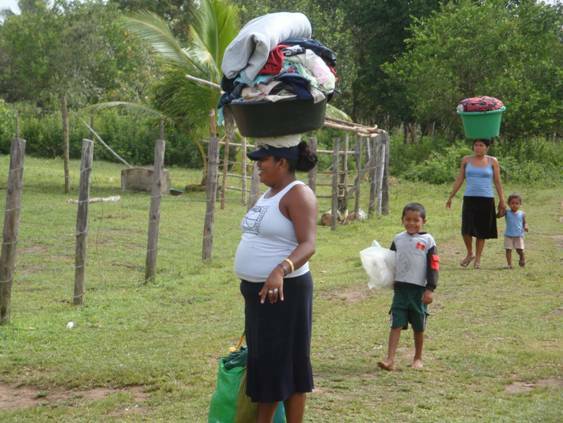 Miskito women taking wash to river. Baptists have 35 organized churches and about 30 missions and preaching points. 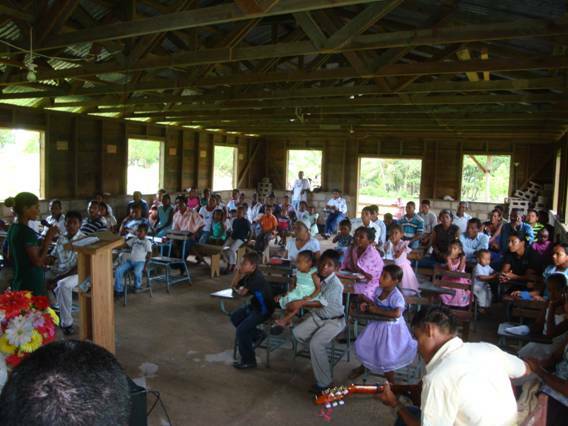 Jerry Starnes and I taught personal evangelism and took participants in our classes out door-to-door witnessing for two weeks in Waspan, Nicaragua, and rural communities. Jerry Starnes and his translator David. Jerry said, "The highlight for me was when a lady invited us onto her porch. 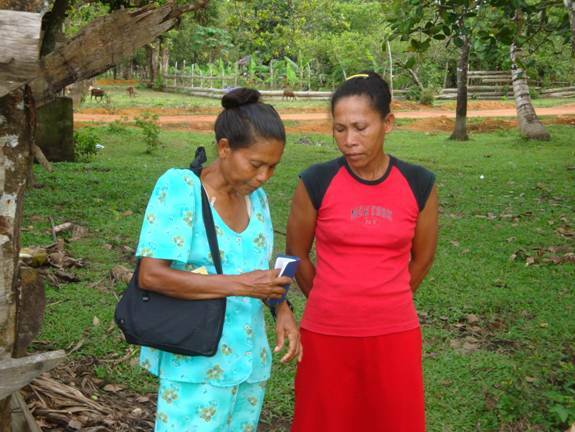 After sharing the plan of salvation she and her daughter both prayed and received Christ. She then said something I shall never forget the rest of my life. She said that she had seen us in her neighborhood and had hoped that we would stop to visit her to share the truths about how to be saved and go to heaven. She said many others had stopped at her home in the past, but every time she tried to find what they had told her in her Bible, she could not find what they were trying to tell her. We had actually shown her the verses from the Bible using the Roman road how to receive Christ and have the assurance of eternal life. She was so thankful and asked us to return and share with another daughter this same message. This lady lives just a couple of blocks from the Baptist church where we were working and was 'just hoping someone would tell her the truth.'" Jerry had thirty-one decisions in four days of sharing Christ. During the last hour of visiting we had 25 decisions that included eight participants who made public decisions in the class at the end of the closing session. These were men and women who had attended all three days of training on personal evangelism. We had 83 decisions putting in practice what we were teaching. 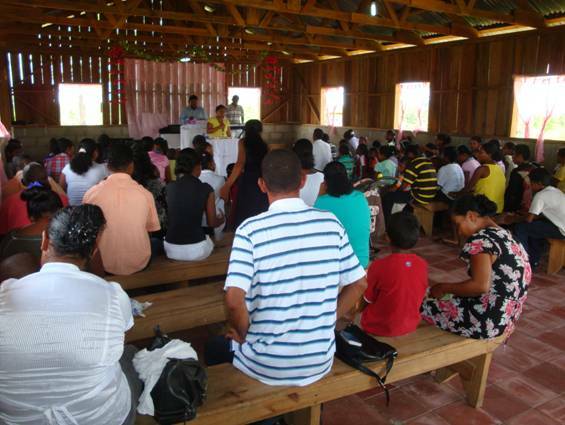 Evangelism class at Claro, Nicaragua. Responses to the evangelism classes: "Never have we been taught evangelism and then went out to witness. We did not realize it was our responsibility to go out and witness." Participant leading woman to Christ. Others said, "This was very practical. Two years ago we had a crusade here, but no one taught us how to use the Scriptures to witness. With these presentations the whole family was included, men women and youth." Others said: "It was very practical and easy for us to use. We put in practice as we were learning the method." "The teacher was very animated. The Scriptures he used were chosen to touch the heart of the lost person. Very disciplined." Participant witnessing to youth on the street near the church. In the village of Saupuka the work is new. One night I preached on John chapter three and had eight decisions for Christ. This was typical response during the two weeks. In Claro the participants were hungry for Biblical truths, and filled with excellent questions about the Christian life. 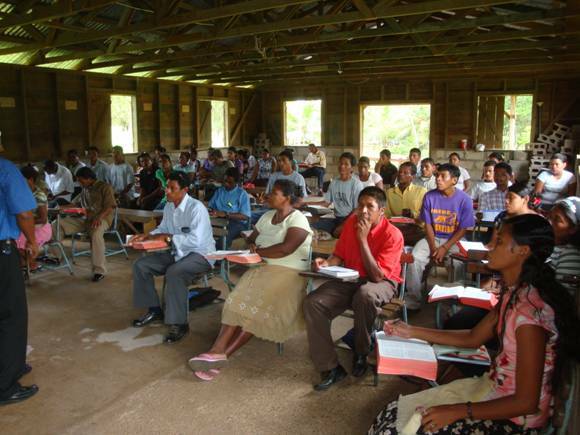 Evangelism class in Waspan, Nicaragua. Evangelism class participant sharing her testimony. 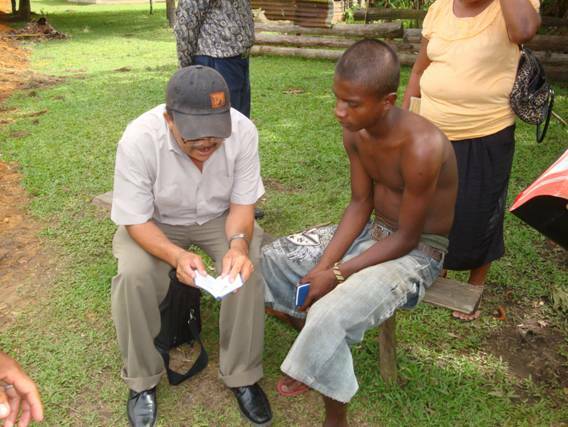 Aristides sharing Christ with Miskito person in Uhuri, Nicaragua. 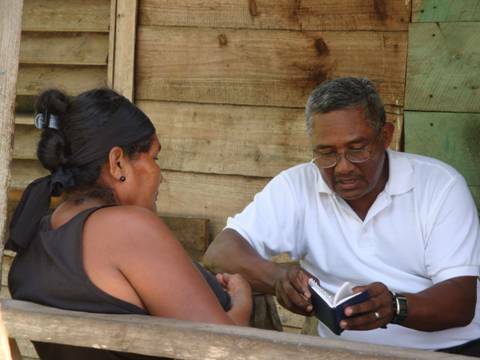 Miskito Christian witnessing during personal witnessing training in Claro, Nicaragua. 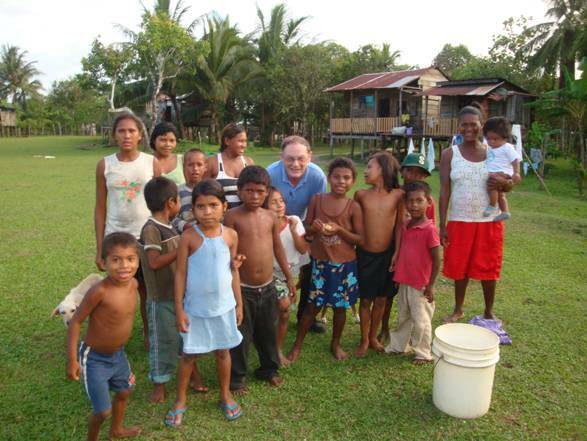 Wil having fun with Miskito villagers. 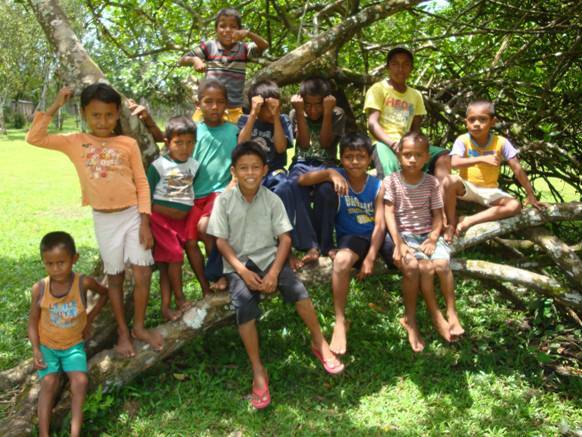 Miskito children playing in tree. Miskito children playing in tree gave Wil an opportunity to share Christ by telling them about Jesus' visit to Zacchaeus' house in Luke 19:1-10. 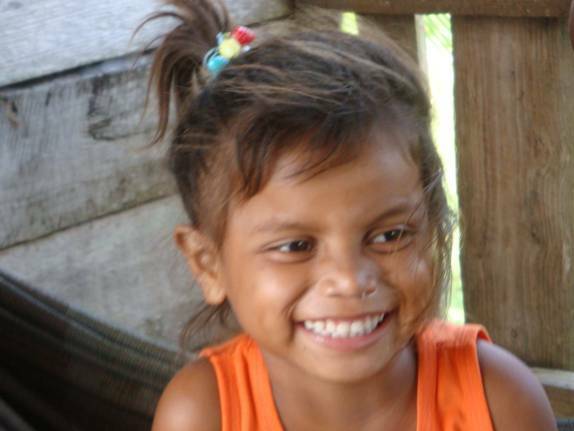 Miskito child responding to a children's story in the life of Jesus. 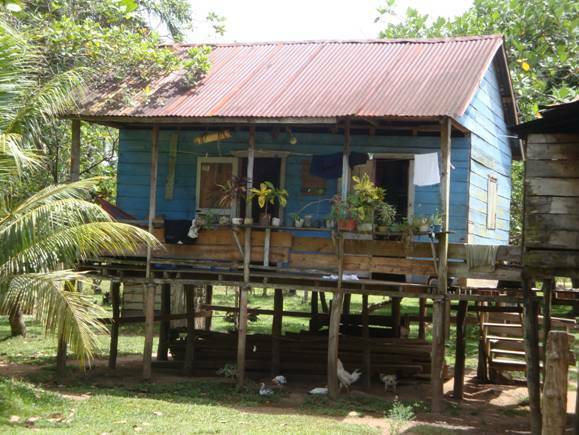 Miskito house in Uhuri, Nicaragua. 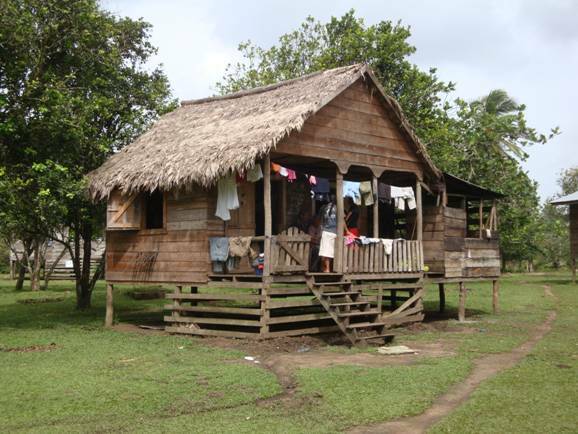 Miskito house in the community of Uhuri which has 3,000 population in the large rural area. Aristides and David giving a demonstration on personal witnessing at Miskito evangelism workshop. 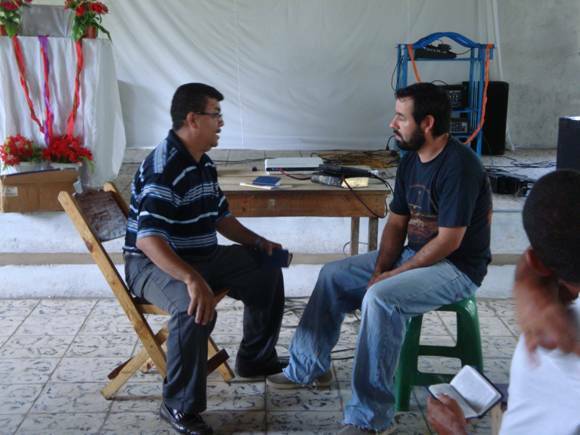 Aristides Bustillo on left demonstrates personal witnessing with David Zedon. Aristides, pastor of First Baptist Church, Ocotal, Nicaragua, coordinates our work in Nicaragua. David is pastor of two missions and translates Bible studies for our Spanish website (www.AbideInChrist.org). 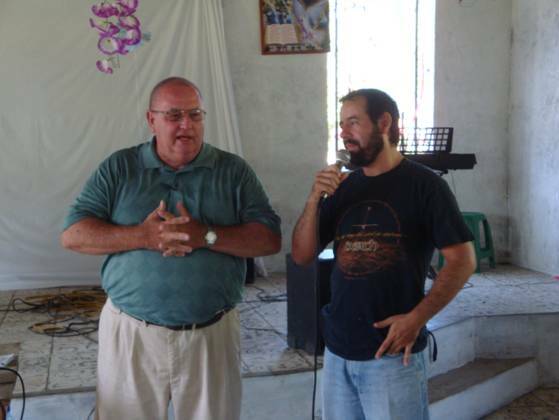 Abide in Christ provided a motorbike for Aristides to use in his ministry. He and pastors in Northern Nicaragua have planted 11 new churches and missions during past four years as a direct result of our evangelism workshops. 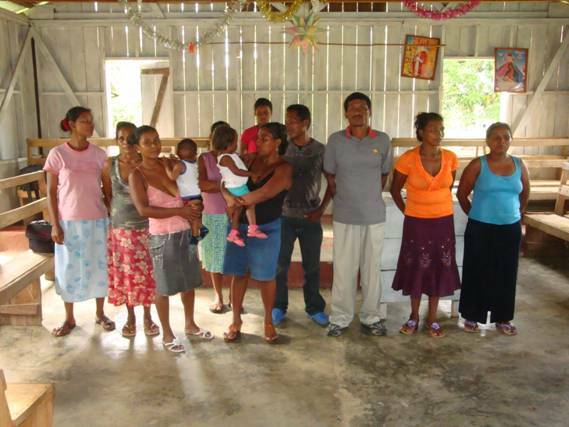 Aristides has a vision and a gift for starting new churches in areas where there is no evangelical witness.